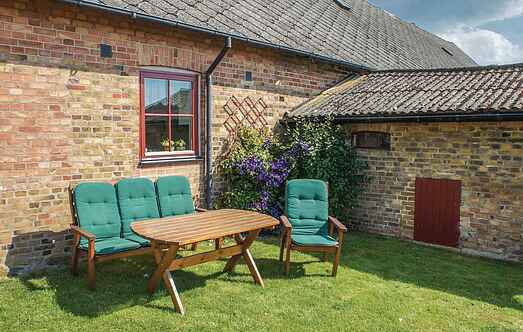 Find a vacation home to rent in Landskrona Municipality from our list of vacation rental properties. Campaya has over 3 vacation homes available in Landskrona Municipality, which give you the possibility to locate a unique accommodation in Landskrona Municipality which completes your check-list in search for the perfect self catering vacation apartments in Landskrona Municipality or vacation villas in Landskrona Municipality. The farmhouse is located 1 km from the sea in Ålabodarna, Glumslöv and has a private terrace with views over the Sound and the island of Ven. This holiday home is on the horse farm of the landlord and is situated in a serene location just 3 km from sea. Malmö, Lund and Helsingborg are just a 15-minute drive away from here.